Mississippi bass fishing presents a nice problem. Where to start fishing? Do you want quality or quanity? Do you want a trophy bass or a stringer of smaller bass? Or, do you want a hard fought battle with something besides bass? Let's look around the state and see what is available to anglers. Mississippi is bordered on the west by the Mississippi River. The Tennessee-Tombigbee Waterway runs through parts of the east side. On the southern shore is the Gulf of Mexico. The opportunities are endless for almost any kind of fishing. 1.Tennessee River, which includes Pickwick Lake bordering the extreme northeast corner of the state. 2.Mississippi River and all its oxbow lakes. 6.State park lakes scattered around the state. 7.Private lakes and ponds. There are so many places to consider. But what is this web site page about? Mississippi bass fishing!..So let’s start at the top and talk about some bass fishing holes. Pickwick Lake is the first in a series of lakes on the Tennessee River. Pickwick Lake starts in Tennessee, borders Mississippi for about ten miles and ends in Alabama at the Wilson Dam. This lake has always had the reputation of producing trophy smallmouth bass. Growing in warmer southern waters is part of the reason for their size. What most anglers don’t know is Pickwick Lake is also a haven for trophy largemouth bass. And some of the best largemouth bass fishing spots are in the ten miles of Mississippi waters. Bobby Cleveland, an outdoors writer for the Clarion-Ledger of Jackson, Mississippi, wrote an article about his experience of fishing for largemouth bass in the Mississippi waters of Pickwick Lake. He wrote the article for Game & Fish magazine. If you like pulling big bass in the boat, read that article here. There are facilities on both sides of the lake, including lodging, rental cabins, camp sites and marinas. 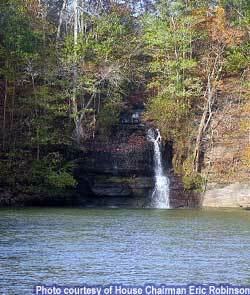 J.P. Coleman State Park in Mississippi, sits on a bluff overlooking the Tennessee River and Pickwick Lake. Tennessee-Tombigbee Waterway begins at Yellow Creek coming off Pickwick Lake on the Mississippi side. It runs down through east Mississippi, flirting with the border until it crosses into west Alabama, finally connecting with the Tombigbee River. The waterway is a transportation link to the Gulf of Mexico. The U.S. Army Corps of Engineers built it 234 miles long, 300 feet wide and 9 feet deep. It connects to old lakes and ponds along the way. 44,000 water surface acres is divided into ten main lakes by locks and dams. Largemouth bass, smallmouth, catfish and many other species can be caught in these waters. There are many parks and camps along the way. Click this link to read more information about Mississippi bass fishing on the Tenn-Tom Waterway. Sardis Lake sits 50 miles south of Memphis, Tn. and 9 miles southeast of Sardis, MS, just off I-55. The lake covers 58,500 acres. It has over 500 campsites plus several swimming beaches and boat ramps. John W. Kyle State Park is located on the southwest tip of the lake. This park is rated in the Top 100 State Parks in America so make your reservations here. 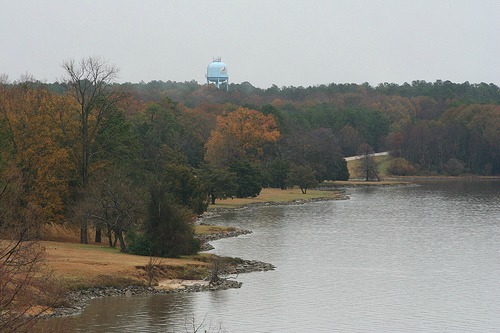 Enid Lake is located about 72 miles south of Memphis and just a few miles below Sardis on I-55. 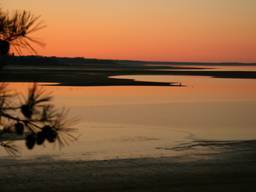 The lake covers 44,000 acres and is known for its camping and recreational opportunities. Enid’s Persimmon Hill Campground has twice been selected as one of America’s Top 100 Family Campgrounds. As a testament to the wildlife management in Mississippi, Enid Lake has been recognized as one of America’s Top Ten Fishing Spots. Mississippi bass fishing and family camping go hand in hand in this part of the country. Grenada Lake is about ten miles south of Enid down I-55. Dang!...Seems like the anglers in this area have too many bass fishing options to choose from! The lake covers 36,000 acres and has many campgrounds at various locations. Grenada Lake is known as a top crappie lake but the largemouth bass, catfish and bream are excellent also. There are many recreational facilities and an overlook that provides a panoramic view of the lake. Ross Barnett Reservoir is located just above Jackson, Mississippi. This lake is fed by the Pearl River. It is 30,000 acres and contains many pockets of shallow stumpy flats. Anglers either love it or hate it and most locals love it. It is bordered on the western shore by the historic Natchez Trace Parkway. The lake is a Mississippi bass fishing “hot spot” north of Highway 43 which crosses the lake on the northern end. Many campgrounds and boat ramps are around the lake. Hotels, motels and restaurants are close by. Oxbow lakes are found the whole length of the Mississippi River. 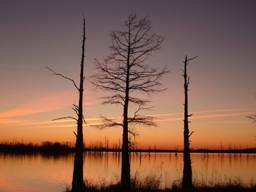 Two of the most popular are Lake Chotard and Eagle Lake located a few miles north of Vicksburg, MS.
Largemouth bass, crappie, catfish and just about anything else can be caught in these waters. On just about any given day, especially weekends, the boat ramps, campgrounds and bait shops in the area are busy. To raise your fishing and relaxing experience up a notch, check out Chotard Landing Resort or Eagle Lake Lodge & Outfitters Inc.
Mississippi bass fishing at it's best. They offer fully furnished cabins and condos and anything you need close by. Experience Mississippi bass fishing at these oxbow lakes. Mississippi Gulf Coast is another option if you want to fish for something other than largemouth bass(WHAT!!). With everything going on down here, you can have a fishing vacation with your family. To reserve a charter boat for the deep sea adventure you have been dreaming about click Mississippi Gulf Coast Fishing. There are A+ hotels up and down the coast if you want all the comforts available. 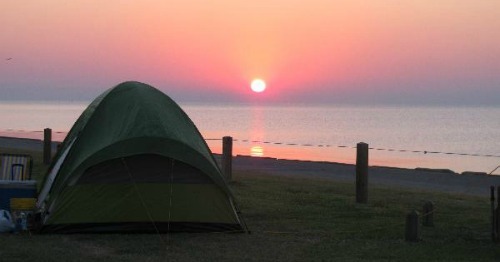 If you want to wake up in a cozy tent and look out at the sun rising over the water, then Buccaneer State Park in Waveland is for you. The park is open to camping but the rest of the park is still under construction recovering from Hurricane Katrina. Check out the park and what it has to offer at Buccaneer State Park. State parks and lakes offer the best Mississippi bass fishing in my opinion. As a matter of fact I think Mississippi state parks have some of the best bass fishing in the country. But that’s not all that is great about our parks. Several of the parks are consistently rated in America’s Top 100 for their recreational opportunities and facilities. These parks are not far away. What a relaxing inexpensive way to spend a day or a weekend. Now back to the bass. I have pictures to prove bass fishing in Mississippi State parks is the best anywhere. I challenge you to prove me wrong! 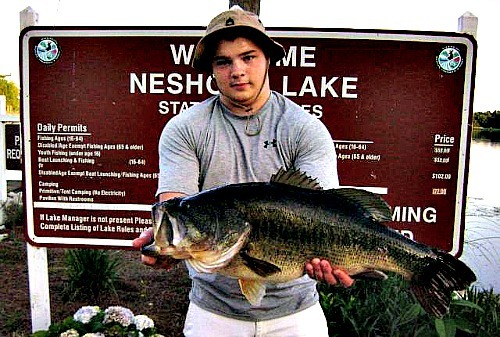 This 13 pound bass was caught at Neshoba County Lake in late May 2012. He said he used a #2 bream hook with a Fire and Ice plastic worm. A Zebco 33 reel was used to haul this big one in. Sounds like one of my rigs! 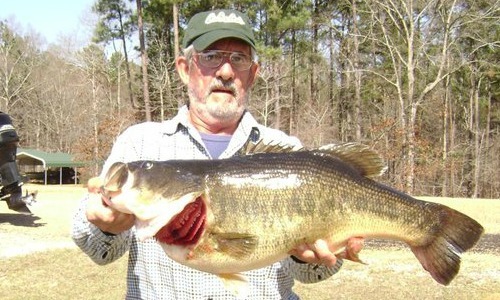 This trophy bass was caught in Mississippi at Flint Creek Water Park in February 2011. It weighed 14 pounds and 13 ounces. Notice the green pumpkin seed lizard hanging out of the big hawg's mouth. 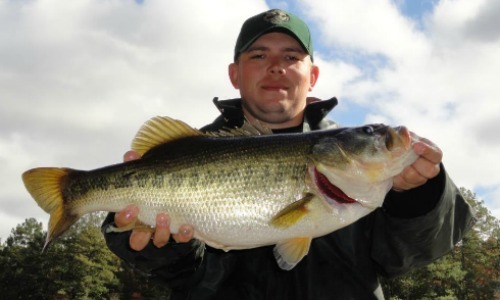 Another trophy bass caught in February 2011. 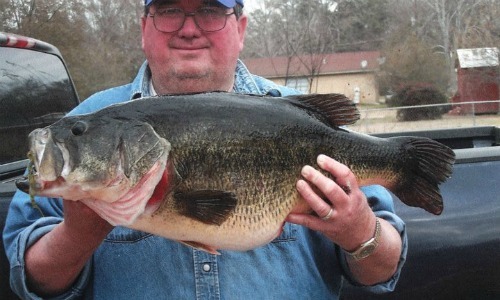 It broke the lake record at Calling Panther Lake in Mississippi. This monster bass weighed 15 pounds and 4 ounces. This 9 pound bass was shocked up during a bass population servey at Clarko State Park. This is a small lake but it has the essence of Mississippi bass fishing. It is surrounded by beautiful hardwoods and pines outside of Quitman, MS.